We are planning to attend the Carriage Classic tomorrow to do a bit of research for our potential project, The Forgotten Journal of H. H. Munro. Looking to connect with a few costumed carriage drivers/owners to learn some logistics of shooting with live horses and to see what it would take to get them into our film. Built in 1868, Villa Louis is an Italian villa-style mansion set along the banks of the Mississippi River in southwestern Wisconsin. A National Historic Landmark, the home and grounds have been restored to their 19th century Victorian life splendor and are open to the public. 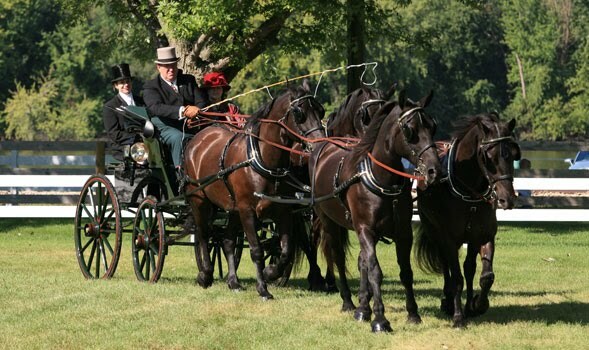 ...the annual Villa Louis Carriage Classic recalls the era when fine horses and elegant carriages convened on the broad lawns surrounding the Dousman Family's famed country estate. The event is the largest competitive carriage driving event in the central US. Image and info via Villa Louis website.